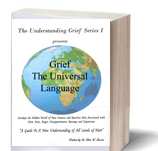 This book will be offering suggestions on handling grief in all areas of life. An extra focus will be directed toward how to deal with the loss of a love one, the loss of a job or pet, moving to another house or city, or a missed opportunity. Any change that goes beyond your normal daily activity can possibly lead to grief. The deep mental imbalance can be devastating and overwhelming. ALL FIVE BOOKS ARE AVAILABLE AT ALL 18 MEMPHIS PUBLIC LIBRARIES AND INFORMATION CENTER. FREE SAMPLES ARE ALSO AVAILABLE AT ALL 24 CITY OF MEMPHIS DIVISION OF PARKS AND COMMUNITY CENTERS.